BENDEKAIURU: Roughly 500 years ago, Kempe Gowda, a local chieftain was hunting for tigers and was offered baked beans from a tribal woman. He loved them so much that he named the entire city after those baked beans! Yum! PENSIONER’S PARADISE: This one is up for debate if you talk to a lot of the actual “pensioners” here. They used to come here for the weather, open space and low crime rates. All of those have changed drastically. SILICON VALLEY: Many, many tech parks here and a technology hub for all of India. 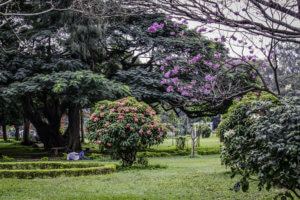 GARDEN CITY: Due to the pleasant weather year-round (although we are debating that during these blistering summer months), there is so much flora and fauna to be seen here. Much more than other major cities in India. 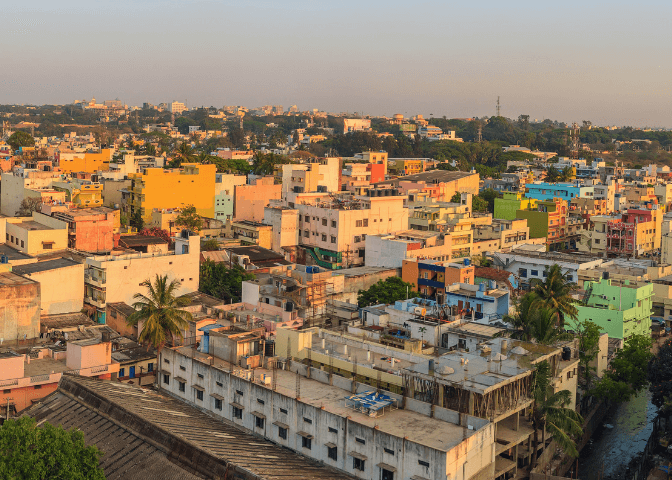 PUB CITY: Proud to say that this city has been recognized as the Beer Capital of India! Cheers to that! There are over 55 microbreweries that can be found here. BOOMTOWN: Since 2010, this big city has been undergoing a rapid population increase. But you might consider the initial boom that came in 1905, in the form of electricity! During the Victorian era, gold was found in Kolar and so a local viceroy alerted Queen Victoria. She had to supply the city with electricity in order to get her gold! Mahatma Gandhi or MG Road was originally a cantonment area and this magical road is home to Mayo hall, Hard Rock Cafe (Bible Society of India) and Cubbon Park (named after viceroy, Mark Cubbon). 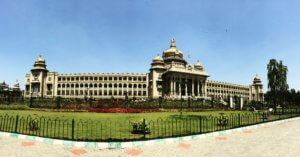 Vidhana Soudha is the office of the Chief Minister of Karnataka that was built in 1956, constructed with local granite. Have you spotted the Gandhi statue there? It’s hard to miss! 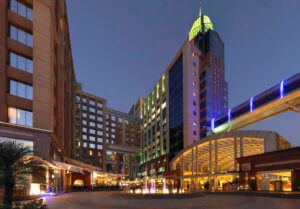 UB City is owned by and located next door to the UB (United Breweries) office. UB was founded in 1857 by a Scotsman named Thomas Leishman and was manufacturing beer for the British troops and officers stationed locally. It was transported in large barrels (hogsheads) on bullock carts! Today it is the largest brewhouse in India. 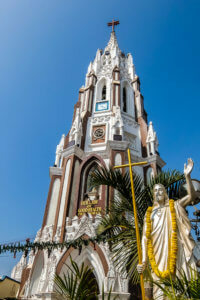 St. Mary’s Basilica is the oldest church in Bangalore and is the only church in the state that has been elevated to the status of a minor basilica. Located in the Muslim area of Shivajinagar. If that isn’t coexisting peacefully, we don’t know what is! 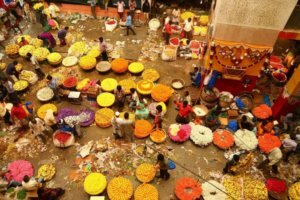 KR Market (flower market) is a loud, chaotic, overpowering place and that makes it one of our favorite places in this city! It was built in 1928 by then King Krishnarajendra Wodeyar. There is so much to see and smell here: flowers, pots & pans, tools, vegetables, fruits, spices…and even more! 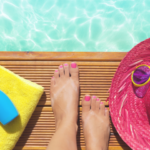 One of the most intriguing sounds is the seller’s “signature shout” which alerts all of his or her customers where they are situated that day. 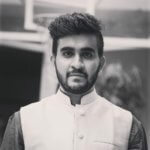 VINE TIP: Check out The Vine’s Guide to KR Market, we learned most of our tips on a tour with Aashish, the author of this article! 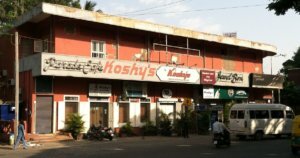 Koshy’s is an iconic restaurant that has been around for over 75 years located near MG Road, off of St. Marks Road. Serving an eclectic mix of food to all sorts of people (British and Indian royalty included) that has spanned three generations of the Koshy family. 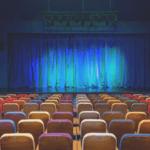 Aashish Wadhwa is a pianist who loves to travel. 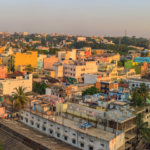 He is also a Cultural Ambassador for CultureRings that loves to show travelers the real side of Bangalore. KR Market is his favorite adventure that Bangalore has to offer.